In while loop, the given condition is tested at the beginning, i.e. before executing any of the statements within the while loop. In case of do while loop the condition is tested after execution of the statements within the while loop. This means that do-while would execute it's statements at least once, even if the condition fails for the first time itself. 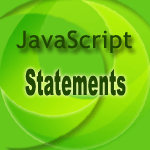 The following web document calculates the sum of even numbers between 0 to 10. The do while loop starts with x = 0 and runs until it equals to 10. If the remainder of x/2 is equals to 0 we add x with y and after completion of the loop, y returns the sum of even numbers. See the Pen do-while-1 by w3resource (@w3resource) on CodePen.